Bear meets sandwich, adventure ensues. . . . A sly classic-in-the-making for fans of Jon Klassen, Peter Brown, and Mo Willems. By now I think you know what happened to your sandwich. But you may not know how it happened. It all started with the bear . . . 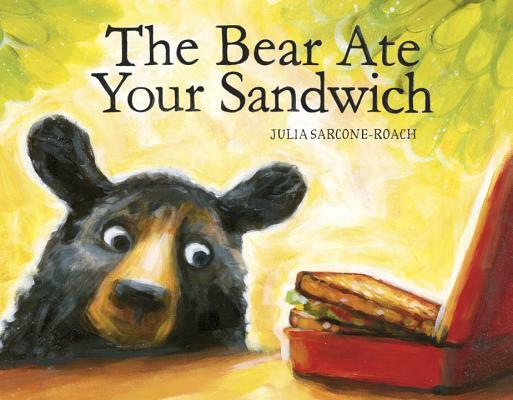 So begins Julia Sarcone-Roach’s delicious tale of a bear, lost in the city, who happens upon an unattended sandwich in the park. The bear’s journey from forest to city and back home again is full of happy accidents, funny encounters, and sensory delights. The story is so engrossing, it’s not until the very end that we begin to suspect this is a TALL tale. The wonderfully told story, spectacular illustrations, and surprise ending make this Julia Sarcone-Roach’s best book to date. You’ll want to share it with your friends (and keep a close eye on your lunch). After attending the Rhode Island School of Design, JULIA SARCONE-ROACH made her Knopf picture-book debut with The Secret Plan, and followed it up with the highly praised Subway Story. She is also the creator of animated videos, including Call of the Wild, which was featured in indie film festivals and won several prizes. Julia lives in Brooklyn, NY. You can find her on the Web at jsarconeroach.com. "While the bear storyline is entertaining in itself, the ending twist will equally delight kids who love to spot untruths, and a second reading for hints as to the narrator’s credibility may well be in order."